3 out of 5 homes in the UK experience damp and mould issues on the interior walls or ceilings of their homes. In spite of this, most home owners don’t take any further action to resolve it. there may already be the beginnings of condensation on doubled glazed windows in the property, or small damp patches on the walls, this common household problem is neglected by most home owners since they don’t realise the possible health threats it may pose to the dwellers within the walls of the home and the actual structural issues that will arise if left untreated. If the condition stays long enough and permeates bedrooms and living areas where people have long periods of contact every day, there can be serious consequences such as acute respiratory problems like pneumonia. Not only does it pose health threats, but the home may also suffer from numerous cosmetic issues such as cracked or blown plaster and damp patches, if left untreated it can cause the walls to weaken over a period of time. Most people confuse a damp proof course, or DPC, as a process in which the affected damp wall has the plaster simply scraped off, cleaned and then painted with anti mould paint or damp proof emulsion (which can sometimes resolve the problem in some cases) However, contrary to what most people think a DPC is actually a tangible barrier which is retro fitted horizontally in to the foundations of the walls to prevent any moisture from rising from the ground via capillary action, or bridging, and upward into the home called Rising damp, this causes the walls to get wet and thus can eventually invite mould to grow and spread. The cost of damp proofing is highly dependent on the severity of the damage and the materials used in building the barrier which is best suitable for your home. The damp proofing materials range from rigid, semi-rigid, and flexible tanking membrane such as copper or lead sheeting, solid brickwork or slate painted with bitumen paint or more commonly used butyl rubber or plastic sheeting bedded into the mortar of the brickwork fixed together via welding to create a solid water proof layer in the building. How do I know if I need a Damp Proof Course? 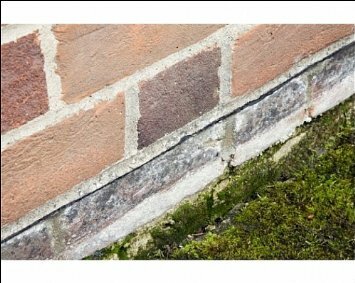 There are certain things you can easily do yourself to assess if you are in need of a damp proof course such as checking the home for mould, observing the walls to see if they constantly dampen (especially during the colder months) or use a damp meter yourself to check for moisture inside the walls behind the plaster. However, it is highly recommended by experts of property care throughout the UK to call on a damp specialist to conduct a damp survey to get a credible diagnosis of whether you are in need of a damp course or not. They will also provide you with an extensive and in-depth damp and timber report to give you a clear understanding of the situation in your home. What goes on when building a damp proof course? Once the damp survey has been carried out in the property the surveyor will advise if your home has failed to pass the damp meter test, you will need to get a specialist to install the best membrane for the job that can disallow the damp and act as a barrier for the property. Depending on the severity of the damp and mould in your home, experts will suggest the right process to prevent further damage to your house and your family members. Contractors can also install cavity wall insulation (if required) as follow on works which can ensure protection from any damp issues in the future.